Rajinikanth and A. R. Murugadoss have collaborated for the first time. Before the makers confirmed the film’s title, it was tentatively called Thalaivar 167. There were fan made posters of the superstar doing rounds of social media. Within days, the makers unveiled the first look poster. The film titled Darbar also revealed the south superstar’s look in it. It is now reported that Rajinikanth would be playing double role in the movie. Is it true? Read further to know more. Darbar: Rajinikanth and Nayanthara Starrer Shooting Commences in Mumbai, AR Murugadoss Shares Pics. There are reports stating that Rajinikanth would be playing the role of a cop in Darbar. It is almost after two decades that we’ll see him playing the role of a police officer in a movie. According to a report in Cinema Dinamalar, Rajinikanth would be playing the role of a father and a son. It is also said, besides the role of a cop, he may could also be seen in the avatar of a social activist. Any details with regards to Darbar or the lead actor cannot be revealed, said the film’s spokesperson to Silverscreen. So we’ll have to wait for another announcement or poster to know what exactly would be Rajinikanth’s role in the A.R. Murugadoss directorial. 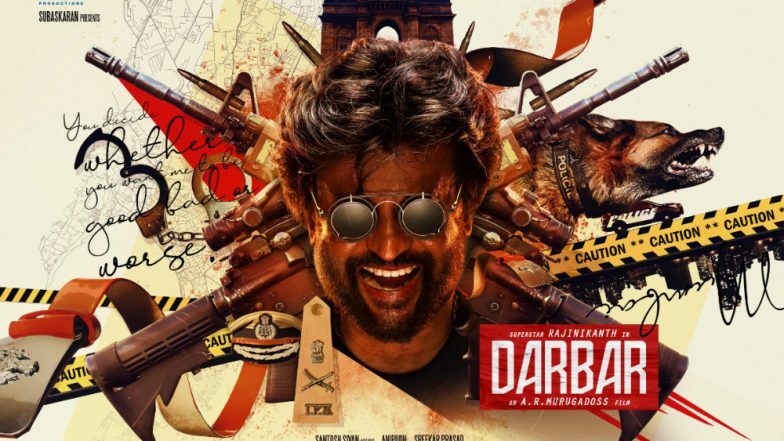 Darbar Movie: Release Date, Cast, Plot, Music – All You Need to Know About Rajinikanth-Nayanthara Starrer Thalaivar 167. After a picture of Vignesh with Rajinikanth from the sets of Darbar hit the internet, speculations are rife that the duo might come together for a film. It is also said that Vignesh is planning to do a full-fledged comedy film with the superstar. Talking about Darbar, the shooting of it is currently going on in Mumbai. The film is expected to release in Pongal 2020.